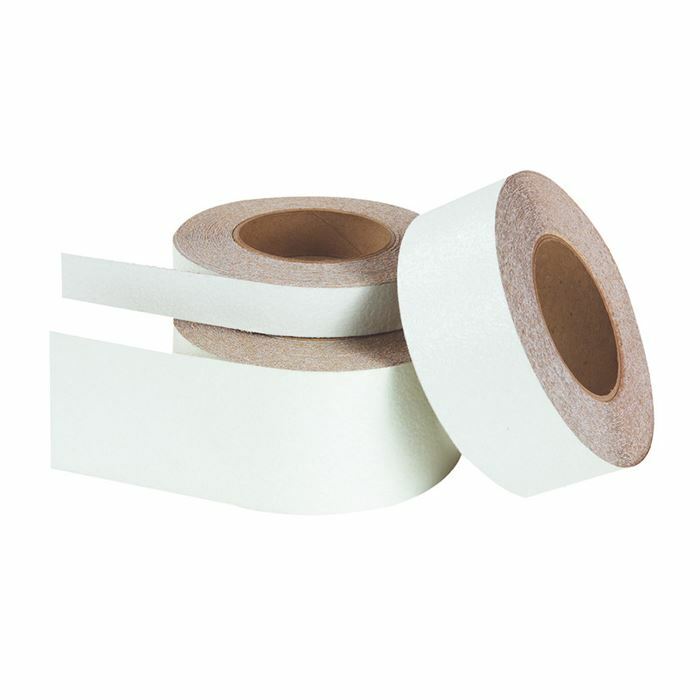 A fine-textured, soft, non-slip self-adhesive tape. Ideal for wet surfaces such as bathtub and shower. White. 60’ rolls. 2" wide.